Interstate 80 is a major transcontinental corridor connecting California and New York City. From the city of San Francisco to a few miles west of the Hudson River in northern New Jersey, I-80 traverses various terrain and states. Its highest point is located at Sherman Hill Summit in Wyoming between Laramie and Cheyenne at an elevation of 8640 feet. The highest point of Interstate 80 east of the Mississippi is near Milepost 111 in Pennsylvania. 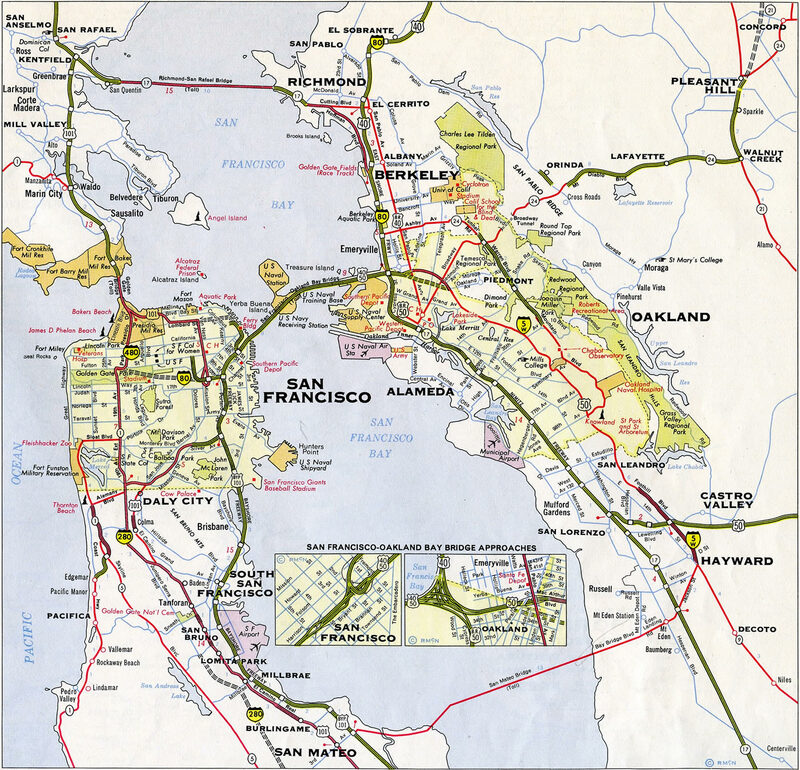 Although Interstate 80 begins at U.S. 101 in San Francisco, original plans called for the Interstate to continue west through Golden Gate Park to the Pacific Ocean near the famous Ocean Beach area. This plan was halted due to community opposition. In the east, Interstate 80 ends at its junction with Interstate 95 in Ridgefield Park, New Jersey, as overhead signage shows. However, at I-80’s eastern terminus, there is some debate as to whether or not it ends at the Hudson River or at Interstate 95. The exit numbering on Interstate 95 north of Interstate 80 in New Jersey seems to approximate what the I-80 numbering would be if it continued east to the George Washington Bridge. However, that numbering is actually what would be for I-95 if it had been completed as planned in New Jersey. It is a coincidence that the exit numbers are so close numerically. Heading southbound on Interstate 95 toward Interstate 80 from the George Washington Bridge to I-80’s eastern terminus, overhead signs are posted as I-95 to I-80. It should also be noted that while U.S. 46 ends at the George Washington Bridge, I-80 does not, which in turn causes more confusion. Interstate 80 in New Jersey is part of High Priority Corridor 63: Liberty Corridor. Interstate 80 largely replaced its companion U.S. routes in the West and parallels them in the East. Between San Francisco and Park City, Interstate 80 replaced U.S. 40. 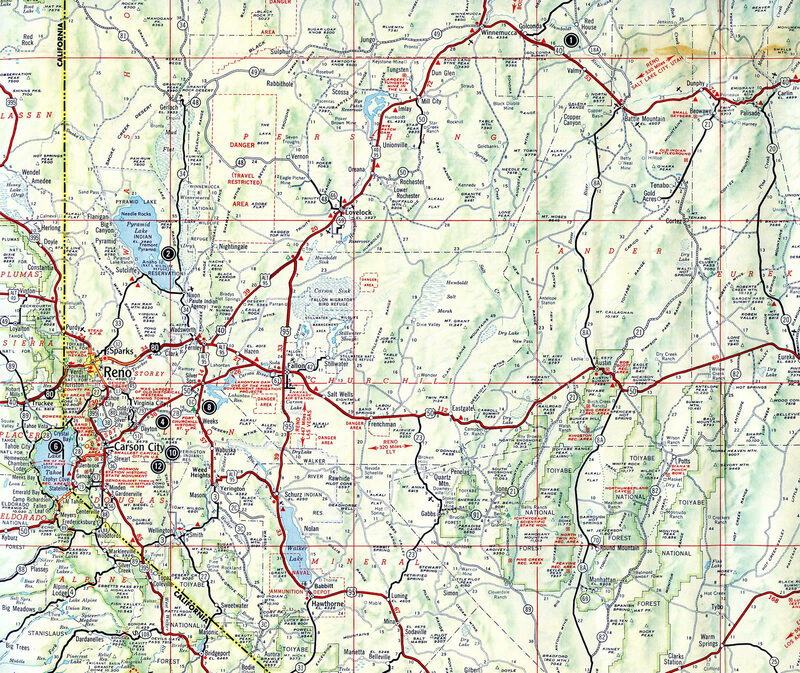 Sections of original U.S. 40 are still in use as local county roads in California, while many segments of U.S. 40 in Nevada were directly replaced by I-80. Today, U.S. 40 begins its easterly journey at its interchange with I-80 in Park City. 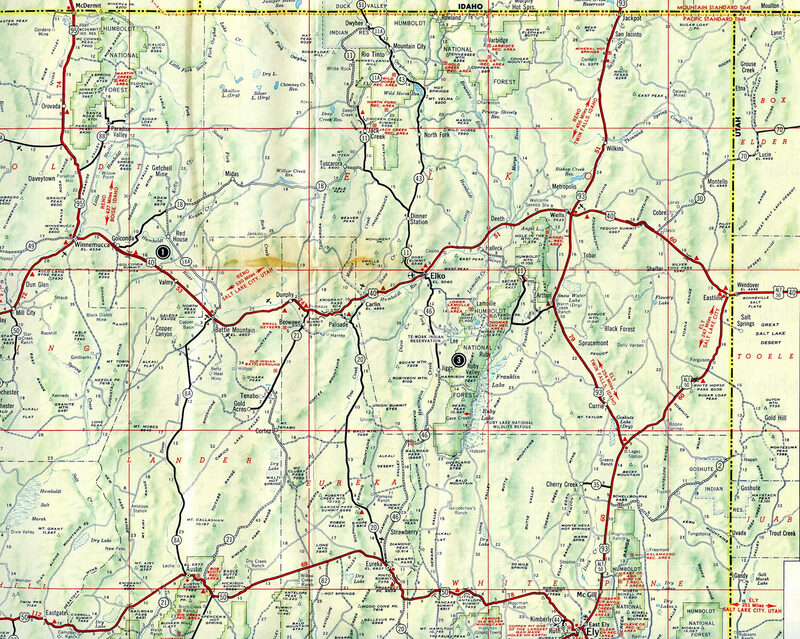 Between Park City and Echo Junction, I-80 replaced U.S. 189 (and U.S. 530 before it). 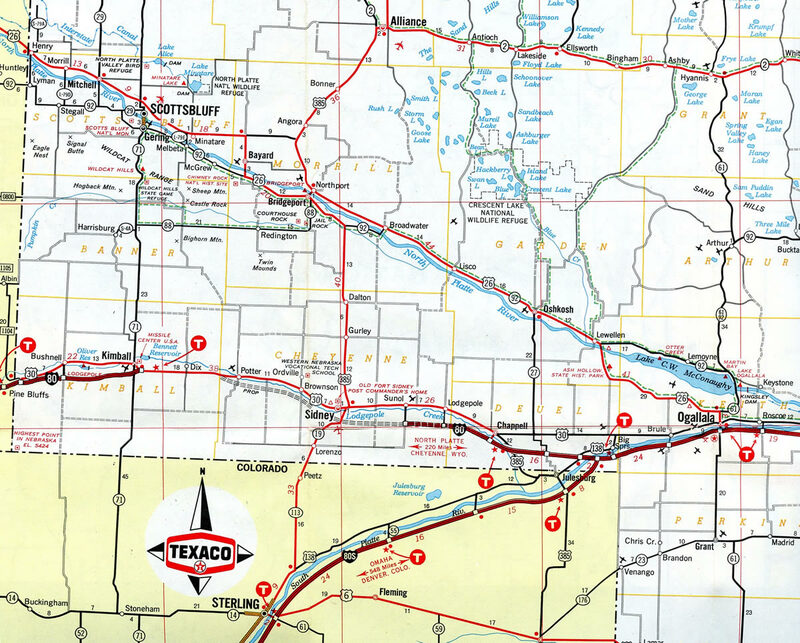 At Echo Junction, Interstate 80 met its companion for most of its country-country trek: U.S. 30. U.S. 30 is the Lincoln Highway through Wyoming, Nebraska, Iowa, Illinois, Indiana and Ohio. 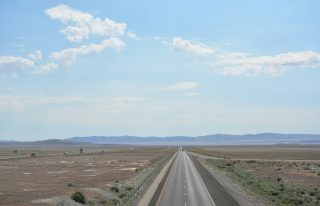 It closely parallels Interstate 80 in Wyoming and Nebraska, combining with the freeway in the least populated areas (such as the continuously merged portion of I-80 and U.S. 30 between Granger and Walcott in Wyoming, a distance of 170 miles). At Grand Island, Nebraska, U.S. 30 veers away from the freeway to the north of Lincoln and Omaha; Interstate 80 instead follows U.S. 34 between Grand Island and Lincoln and U.S. 6 from Lincoln to the Quad Cities via Omaha and Des Moines. 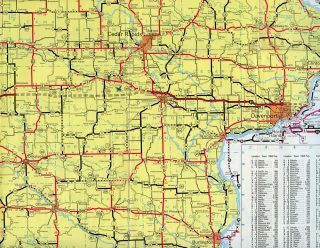 Additionally U.S. 6 merges with I-80 several times through Iowa, and it closely parallels the freeway through Illinois before joining the freeway again in Lansing. Meanwhile, Interstate 80 does not intersect U.S. 30 until Joliet. Having avoided Des Moines and the Quad Cities, U.S. 30 heads southeast to avoid Downtown Chicago. U.S. 30 continues on this trajectory en route to Fort Wayne, Pittsburgh and Philadelphia; it does not intersect I-80 again. Interstate 80 instead remains close to U.S. 6 and U.S. 20 as they skirt the southern edge of the Great Lakes. I-80 is tolled through Indiana and Ohio, so the parallel U.S. 6 and U.S. 20 provide free alternate routes. 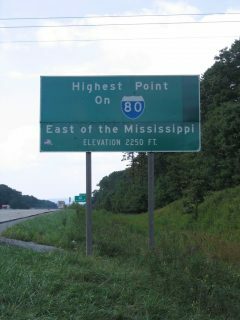 Bypassing Cleveland to the south, Interstate 80 leaves both U.S. 6 and U.S. 20, as they follow Interstate 90. For the first time, Interstate 80 follows a path that was not previously tread by a U.S. route (it followed the Keystone Shortway). 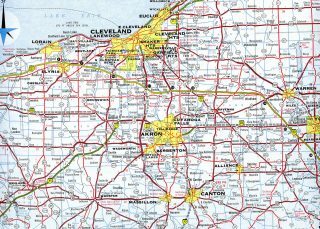 Leaving the Ohio Turnpike at North Jackson, I-80 briefly parallels U.S. 62 through Sharon, then again finds itself without a companion U.S. route. This solo route continues for the most part across Pennsylvania, with the exception of U.S. 322 from Clarion to State College and a brief merge with U.S. 220 near State College. Finally entering New Jersey, Interstate 80 picks up U.S. 46, a route which is almost entirely located within New Jersey — it never went any farther west than Pennsylvania 611 (former U.S. 611). U.S. 46 follows I-80 all the way to its end in Ridgefield Park. Long-range plans originally called for the expansion of Interstate 80 in Nebraska to three lanes from Lincoln west to near Kearney. The project schedule was divided into phases: Phase 1 – between Omaha and Lincoln originally slated for completion by 2012 (final work at Exit 395 wrapped up Spring 2016); Phase 2 – between Lincoln and York originally proposed for completion by 2022; Phase 3 – between York and Grand Island originally proposed for completion by 2028; and Phase 4 – between Grand Island and Minden interchange (Exit 279, N-10) near Kearney originally proposed for completion by 2037.13 Work west of NW 56th Street and Lincoln was not highlighted on the previous Nebraska Department of Roads – I-80 Six Lane Expansion web page as of 2016. Construction through 2022 reconfigures the concurrent section of Interstates 29 and 80 through Council Bluffs, Iowa and I-80 northeast to Exit 8 with U.S. 6 (Kanesville Boulevard). Work separates the two freeways onto a dual freeway. The West and East System Interchanges joining the two routes will be redesigned to eliminate of all left-hand movements with new high speed flyovers. Four local interchanges along Interstate 80 will also be redesigned. Phase I of the East System Interchange was completed from July 2014 to March 2016. The westbound lanes will be finished by December 2017 while eastbound traffic will encounter construction to August 2021. Prior work between 2008 and 2012 expanded the Missouri River Bridge to seven lanes with the option to restripe the bridge to accommodate ten overall lanes. 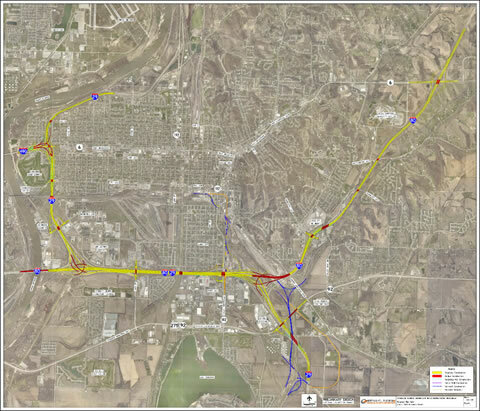 See the Iowa DOT – Council Bluffs Interstate System Improvement Program web site for more details. Within San Francisco, the western terminus of Interstate 80 was originally proposed to be at Interstate 280 (which was briefly considered as part of Interstate 480) in Golden Gate Park. 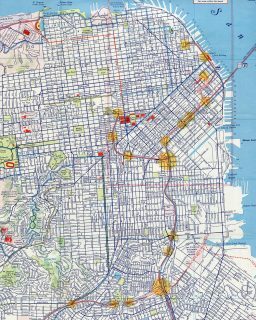 The Western Freeway (I-80) would have originated at U.S. 101 / Central Freeway and traveled west toward the park, straddling Fell Street and Oak Street along the way. Once at the park, the freeway would have entered a major interchange with I-280, making an odd case where a parent route would have ended at one of its child routes. However, that situation never came to pass. The freeway was never built as a result of substantial protests, and the western terminus of Interstate 80 was retracted to U.S. 101 / Central Freeway. 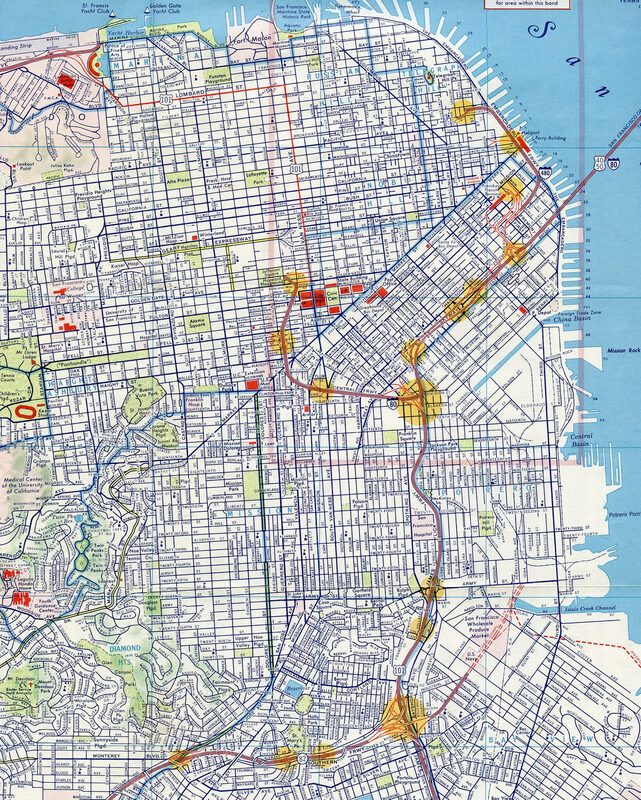 The westernmost alignment proposed for Interstate 80 across San Francisco in 1960. I-480 was envisioned as an urban loop extending west from the Embarcadero double deck freeway to the Presidio and south to I-80. Since the Central Freeway viaduct was mostly torn down, I-80 now ends at the series of U.S. 101 exits near Van Ness Avenue. This terminus is somewhat in dispute; some say that Interstate 80 actually ends at the Embarcadero exit. See the AARoads Guide for Interstate 80 in California for more history and information. The San Francisco-Oakland Bay Bridge was dedicated on January 14, 1939.9 The bridge initially carried U.S. 40-50 across the bay; it was later redesignated as part of Interstate 80. The first iteration of the Yolo Causeway, which carries Interstate 80 over the Yolo Bypass west of Sacramento and east of Davis, was completed in 1916. This causeway was the first highway project in the state of California to be financed with the sale of highway bonds; it has been expanded since the original facility opened. The San Francisco-Oakland Bay bridge, opened to traffic on November 12, 1936 as the route for both U.S. 40 and 50, carries Interstate 80 across San Francisco Bay. The span consisted of three segments: the western suspension bridge with four towers, the Yerba Buena Tunnel on Yerba Buena Island, and the eastern cantilever through truss bridge. Earthquake retrofitting between 1994 and 2004 reinforced the suspension bridge west from Yerba Buena Island, bringing the span to current specifications. The eastern span was not reinforced and instead was replaced during an 11-year construction project commencing in 2002. The new Bay Bridge, a single-anchored suspension bridge with a lone tower, opened to traffic on September 2, 2013. This span accommodates side by side traffic rather than a double deck like its predecessor. It ties into a new causeway from the east and includes a bike/pedestrian path to Yerba Buena Island. The old bridge closed on August 28, 2012 and dismantling efforts continue into 2016. 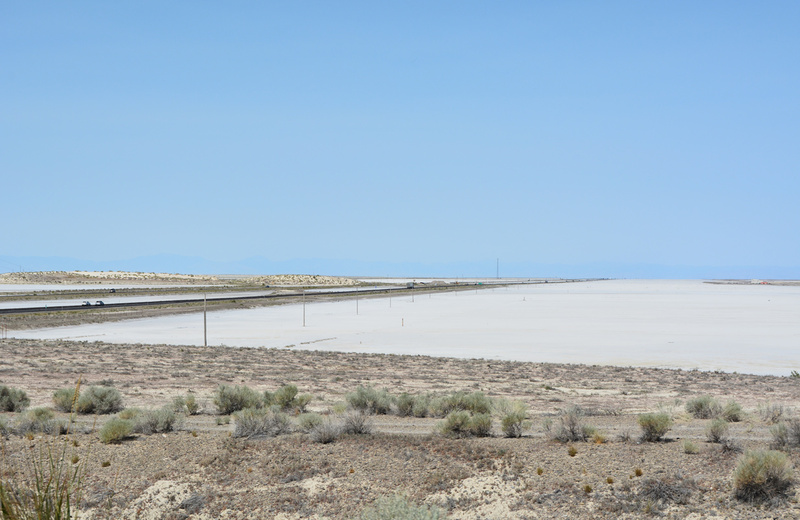 Interstate 80 traverses the wide open expanse of the Great Salt Lake Desert between Wendover and Knolls, Utah. A 36.6 mile exit less stretch ensues west from Old Highway 40 in this scene. Photo taken July 3, 2016. For a history of the completion of Interstate 80 in Wyoming, visit Interstate 80 – Wyoming. 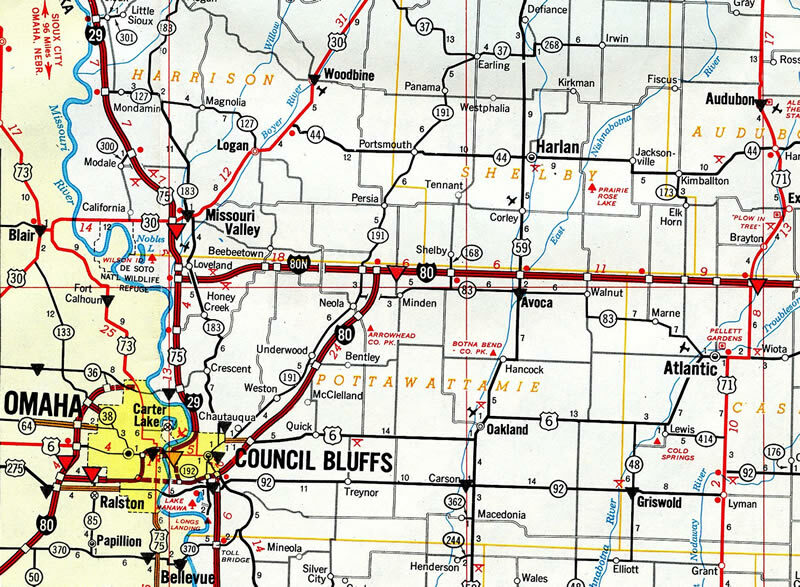 1956 plans for Interstate 80 provided for a route to traverse the Platte River across most of Nebraska, but did not specify whether the corridor would travel to the north or south of the waterway. 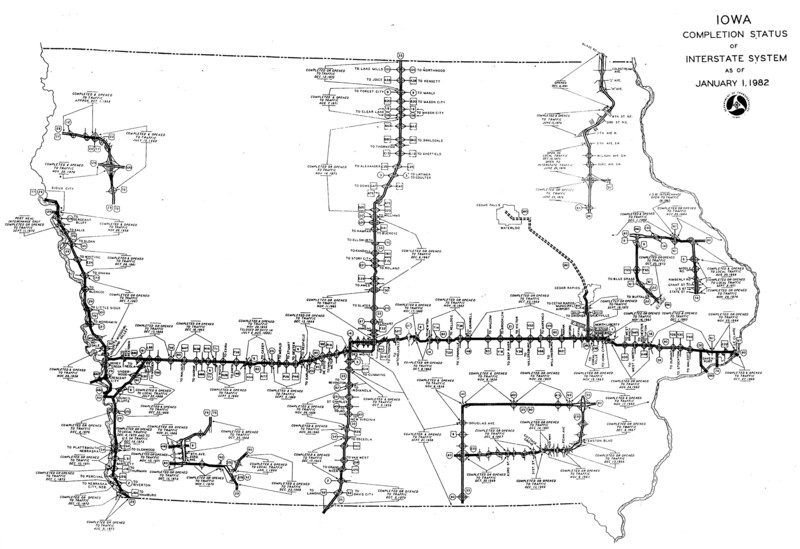 The Iowa Highway Commission meanwhile opted for the I-80 mainline to run west from near Minden to the I-29 corridor at Loveland. Commissioners touted benefits to the Sioux City area while officials further south in Council Bluffs and Omaha were vehemently opposed, citing the need for improved connectivity to the growing Union Stock Yards in South Omaha. Adding to the debate was the north Omaha area and operators of the Mormon Bridge, which touted stimulating the Florence area and increasing revenue for the toll bridge. Interstate 80 was dropped from the Central Freeway at the same time Interstate 480 along the Embarcadero Freeway was decommissioned in 1965. 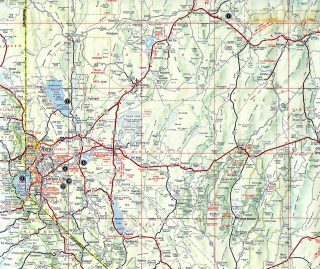 Short stretches of Interstate 80 in northwestern Nevada were complete in 1962: Between Mustang (Exit 23) and Exit 43 west of Fernley and northeast through the Fortymile Desert to Humboldt Sink. 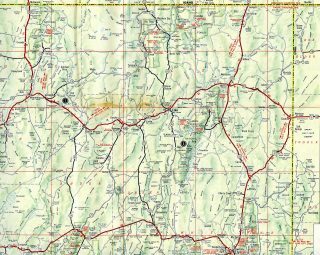 U.S. 40 was upgraded to a freeway by 1962 for Interstate 80 between Golconda and Pumpernickel Valley, including the stretch through Golconda Summit (elevation 5,159 feet). 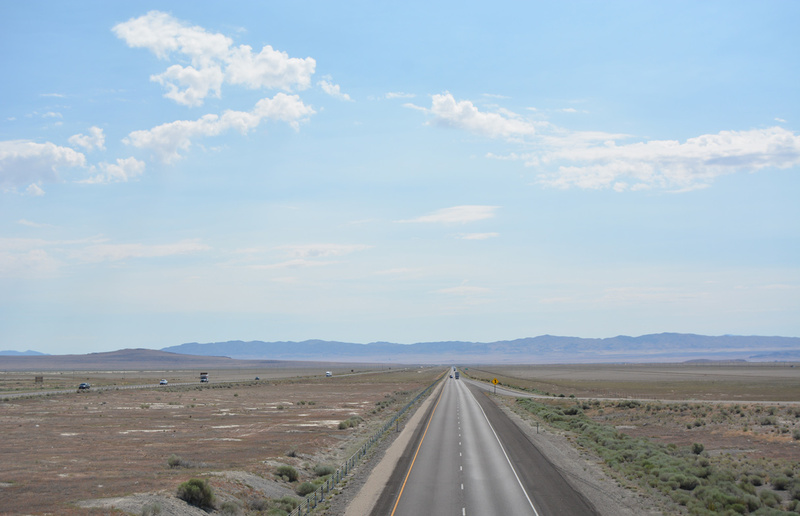 Interstate 80 progresses east from the Great Salt Lake Desert and Knolls, Utah toward Ripple Valley and the distant Cedar Mountains. Photo taken 07/03/16. 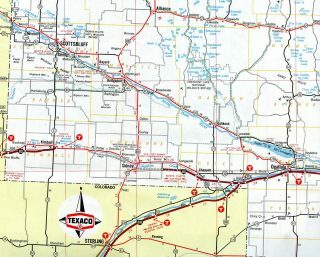 Interstate 80 ended at Kimball, Nebraska from the west and Chappell, Nebraska from the east until 1974, when the stretch by Sidney opened to traffic. Interstate 80N traveled 17 miles east from Interstate 29 at Loveland to Interstate 80 near Minden, Iowa. The route was incorporated into an extended I-680 from Omaha as approved by AASHTO on November 10, 1973. The 57.8-mile stretch of I-80 between Iowa 146 and Coral Ridge Avenue (former U.S. 218) in Iowa City completed the high speed route between Des Moines and the Quad Cities when it opened in October 1964. 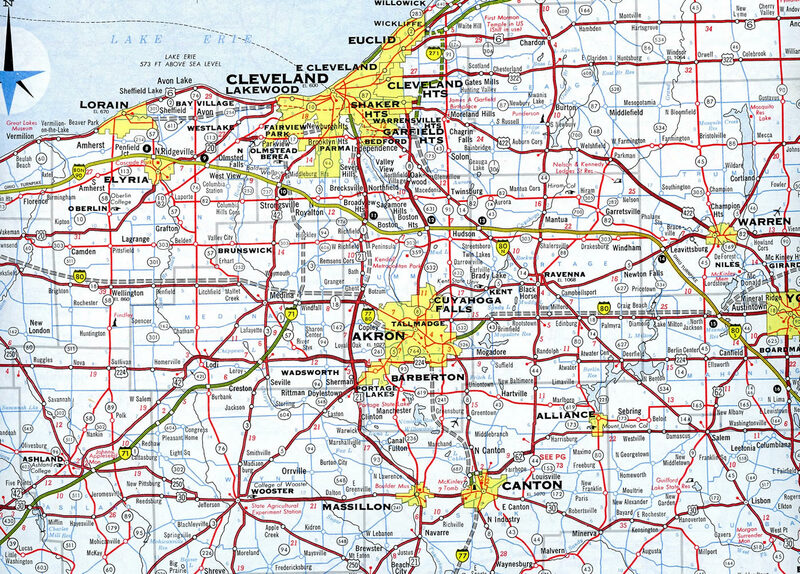 The original alignment proposed for Interstate 80 took the route south from the Ohio Turnpike near Norwalk along a parallel alignment to Ohio 18 to Medina, Akron and the Youngstown vicinity. I-80 later shifted northward to the turnpike, but with a loop using what later became I-480. I-80 between Akron and Youngstown was later incorporated into I-80S and then I-76, while the route west from I-77 was never built. 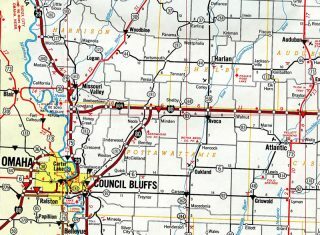 A proposal arose by 1991 to reroute Interstate 80 over I-280 from northwest Davenport to Colona, Illinois, with Interstate 74 trading places with the existing I-80 around the north and east sides of the Quad Cities. The renumbering was sought to improve safety by eliminating the TOTSO (turn off to stay on) movements at the cloverleaf interchange where Interstates 74, 80 and 280 meet in Illinois. It never came to pass because Iowa officials did not support the efforts from those in Illinois. See the Interstate 280 Iowa / Illinois guide for more details. The Tri-State Tollway was reconstructed between January 2005 and Fall 2006 from the Illinois 394 and Interstate 94 interchange in South Holland northwest to the U.S. 12-20/95th Street interchange in Oak Lawn.3 The project included the installation of an additional through lane on I- 80 and I-294. The Cal-Sag Channel Bridge near Alsip was planned for reconstruction, as were the Lincoln Oasis and the Markham Yard Bridge. Within Indiana, the Borman Expressway carries Interstates 80 & 94 and U.S. 6 through Hammond and Gary. Most of the same improvements considered for the Kingery Expressway were likewise included in the Borman Expressway upgrade. Construction began in 2003. Work ran through summer 2011 and included an $189-million upgrade to the Interstate 65 interchange.5 Another proposal is to construct a south Chicago bypass, the Illiana Expressway, that could divert traffic from Interstates 80 & 94 around the Chicago/Northeast Indiana metro area. 159 miles of the Ohio Turnpike were expanded to six overall lanes in a nearly two-decade long project. First announced by the Ohio Turnpike Commission in April 1995, widening of the toll road was ultimately paid for by a toll increase of more than 80%. The new lanes run from U.S. 20 in Toledo east to the Interstates 76 & 80 junction outside Youngstown. Work was slow with three sections entailing 59.3 miles completed by 1997. The initial 2000 completion date announced by the Turnpike Commission was moved back to 2004, then 2008. By 2004, expansion was completed except for three segments: I-280 to I-75, I-75 to U.S. 20 (Reynolds Road) and a four-mile stretch east of the Cuyahoga River. The I-280 to I-75 stretch in Toledo was finished in 2007, however the economic turn down of the late 2000s led the Turnpike Commission to defer funding from the remaining two sections to instead replace its toll collection system. E-ZPass was implemented along the turnpike in 2009 upon completion of the $50-million upgrade. Just prior to Exit 111 with Pennsylvania 153 south of Penfield, westbound Interstate 80 crests at the highest point east of the Mississippi River. Located within Moshannon State Forest along Pennsylvania’s section of the Appalachian Mountains, this location reaches 2,250 feet above sea level. Advancing west, I-80 leaves the Chesapeake Bay watershed and enters the Allegheny River watershed. Photo taken 09/01/05. Several miles ahead of the Interstate 80 terminus, the eastbound freeway splits into Express and Local lanes. The I-80 Express lanes see no exits from the partition to I-95 while the Local lanes provide access to Hackensack and other nearby communities. The dual freeway configuration extends east along Interstate 95 to the George Washington Bridge Upper and Lower Level separation at Fort Lee. Photo taken 12/19/16. Interstate 80 travels below grade across the Bogota borough and Ridgefield Park village line. The route ends one half mile ahead at an unnumbered directional T interchange. Photo taken 12/19/16. End signs for Interstate 80 appear above both the Local and Express Lanes as the freeway passes below Park Avenue along the Teaneck township and Ridgefield Park line. NJDOT typically posts end / begin at transitions of one freeway to another. Other examples are posted for I-676 south, NJ 3 east and I-195 west. Photo taken 12/19/16. Ramps depart from both the Local and Express lanes of I-80 at the Teaneck Road overpass for Interstate 95 and the New Jersey Turnpike south to U.S. 46 at Ridgefield Park, Newark and Trenton. For Interstate 80 Express motorists, one final off-ramp (Exit 73 to NJ 67) remains before the roadway defaults onto the George Washington Bridge Upper Level. Photo taken 12/19/16. Interstate 80 concludes a 2,900 mile plus journey across 11 states. The Local Lanes advance east to Fort Lee and the George Washington Bridge. New York 9A (Henry Hudson Parkway) lies five miles ahead as the first exit in Manhattan. Photo taken 12/19/16. Beyond the Lincoln Tunnel interchange and near Bellmans Creek, the NJ Turnpike East Spur northbound prepares to combine with the West Spur in a dual freeway configuration. The forthcoming inside lanes lead directly to Interstate 80 while the outside lanes continue to Englewood and the George Washington Bridge approach. Photo taken 08/29/05. The East and West Spurs of the NJ Turnpike combine just north of the Vince Lombardi Service Area. A wye interchange provides two lanes from the East Spur for I-80 west to Hackensack and Patterson. The I-95 mainline follows the outer roadway to a cloverleaf interchange with U.S. 46 at Ridgefield Park. Photo taken 08/29/05. The New Jersey Turnpike splits into East and West Spurs around Secaucus. The separation disperses traffic to I-280 west through Newark, NJ 495 east to the Lincoln Tunnel and NJ 3 to the Meadowlands. The spurs recombine at Overpeck Creek, 1.5 miles ahead of the Interstate 80 east end. Photo taken 12/19/16. The West Spur (unsigned I-95W) ends with a slip ramp taking motorists onto the inner roadway bound for Interstate 80 west and two lanes merging with the outer roadway ahead of U.S. 46, Challenger Road, and the eastern turn of I-95 to the George Washington Bridge. Photo taken 12/19/16. The inner roadway of I-95 north from the NJ Turnpike end to I-80 defaults travelers onto Interstate 80 west. I-80 separates into a Local / Express configuration west to Paterson. Photo taken 12/19/16. The Local / Express configuration of I-80 extends east onto I-95 toward the Upper and Lower Level split of the George Washington Bridge. The Local lanes of I-80 west provide access to all off-ramps while the Express lanes advance uninterrupted to New Jersey 17 (Exit 63) at Lodi. Photo taken 12/19/16. A three lane flyover branches west to slip ramps with I-80 Local to Hackensack and I-80 Express to Paterson and Netcong. Photo taken 12/19/16. West from the directional-T interchange with I-95, Interstate 80 passes through Bogota and Ridgefield Park to Hackensack. Photo taken 08/29/05. Passing below the NJ 67 (Lemoine Avenue) overpass, the Lower Level of the George Washington Bridge transitions into the Express Lanes of I-95 south / I-80 west. Succeeding ramps depart for U.S. 1-9 south & 46 (Bergen Boulevard) west and the I-95 south / I-80 west Local lanes at NJ 4. Photo taken by Douglas Kerr (11/25/01). Interstate 95 arcs west as a dual freeway to Teaneck township and the westbound beginning of Interstate 80. The Local Lanes meet Degraw Avenue prior to I-80. Photo taken 12/19/16. Nearing the crossing of Overpeck Creek along the Local Lanes of Interstate 95 south. The Local / Express Lanes of I-95 extend west along I-80 through Hackensack. The continuation of both roadways are signed as Exit 69, which coincidentally is one mile higher than the I-80 mileage to the Pennsylvania state line. Photo taken 12/19/16. Advancing west from the cloverleaf interchange with Degraw Avenue, simultaneous exit ramps depart from both roadways to Interstate 95 and the New Jersey Turnpike south to Newark. Tolling commences along I-95 south beyond the adjacent interchange with U.S. 46 (Winant Avenue) at Ridgefield Park. Photo taken 12/19/16. Two lanes advance from Interstate 95 to form Interstate 80 west. I-80 winds through urban areas of Hackensack and Paterson to suburban areas of Parsippany-Troy Hills, Dover and Netcong. Photo taken 12/19/16. Traffic emerges from the George Washington Bridge Lower Level to circumvent the eastbound toll plaza ahead of the NJ 67 (Lemione Avenue) overpass. A button copy overhead directed motorists to remain along the I-95 mainline as it progressed west to I-80. This sign was replaced by late 2000 with a diagrammatic sign. Photo taken by Jim K. Georges (07/99). As the Upper Level roadway transitioned into the Express Lanes, a set of button copy signs directed motorists onto the Local Lanes as New Jersey 4. These trapezoidal type signs used to be found along Interstate 95 between Fort Lee and the Cross-Bronx Expressway in New York. Photo taken by Jim K. Georges (07/99). Button copy sign formerly posted at the Fletcher Avenue overpass for the impending ramp to both NJ 4 north and the I-95 Local Lanes. Photo taken by Jim K. Georges (07/99). The Local and Express Lanes of I-95 progressed south to Teaneck and the split with Interstate 80 (Exit 69) west. Photo taken by Jim K. Georges (07/98). Another set of button copy signs preceded the directional T interchange (Exit 69) with I-80 on I-95 Express south. Note the connections to nearby U.S. 46 and the Garden State Parkway via I-80 west to Exit 62. Photo taken by Jim K. Georges (07/99). The first confirming marker for Interstate 80 west appears after the wye interchange (Exit 66) to Kennedy and Hudson Streets in Hackensack. Photo taken 12/19/16. Interstate 80 passes through the Yerba Buena Island tunnel and emerges on the suspension bridge portion of the San Francisco-Oakland Bay Bridge. Bridge construction began on July 9, 1933, and it opened to traffic on November 12, 1936, as part of U.S. 40-50. I-80 replaced U.S. 40-50 legislatively in 1964, and signs were removed in the ensuing decade. Photo taken 03/09/15. The San Francisco Oakland Bay Bridge reaches back to back ramps for Fremont Street (Exit 2C) and Harrison Street (Exit 2B) to Chinatown, the Embarcadero and Fisherman’s Wharf. The Fremont Street exit also connects to Interstate 280 via surface streets. Photo taken 03/09/15. Exits 2C/2B lower from Interstate 80 as the freeway transitions to a viaduct to the directional T interchange with U.S. 101. The Folsom-Fremont exit is the site of the former Embarcadero Freeway (California 480) interchange. The SR 480 freeway spur was dismantled after sustaining major damage during the 1989 Loma Prieta Earthquake. Photo taken 03/09/15. Another left-hand ramp (Exit 2A) follows from Interstate 80 west to Fifth Street. The Fifth Street exit is the original end of the western approach to the Bay Bridge; it was also the route U.S. 40-50 historically took off the bridge to their joint termini at U.S. 101. Photo taken 03/09/15. Remaining elevated along the James Lick Skyway, a viaduct with some sections that predate the Interstate Highway System, I-80 west approaches Exit 1C to Eighth and Harrison Streets. Adjacent Ninth Street leads north to the Civic Center. Photo taken 03/09/15. Exit 1C parts ways with I-80 (James Lick Skyway) as the freeway turns south to end at U.S. 101. U.S. 101 follows city streets between the Central Freeway spur and the Golden Gate Bridge approach. The route is not advised for truck traffic due to limited sight distance and turning radius. Historically, U.S. 101 was planned for a freeway north to the Golden Gate Bridge. Photo taken 03/09/15. Interstate 80 ends as traffic partitions at Exits 1B/A. U.S. 101 north takes the Central Freeway west to Mission Street north to join Van Ness Avenue. The route formerly extended west to Market Street. U.S. 101 south overtakes the freeway leading south to South San Francisco, San Mateo and San Jose. Photo taken 03/09/15. Upon leaving the suspension portion of the San Francisco-Oakland Bay Bridge, this set of button copy signs directed motorists to Fremont Street and Folsom Street to the Embarcadero. This sign bridge was replaced in 2006-2007. Photo taken 10/15/00. Prior to the demolition of the original western approach to the Bay Bridge, a left exit lowered from the skyway to the Embarcadero and Harrison Street. Exit 2B (Harrison Street) was located just a few hundred feet west of Exit 2C, Fremont Street. Photo taken 10/15/00. The 5th Street exit from I-80 (James Lick Skyway) west was previously signed as a connection to U.S. 101 north. Back when U.S. 40 and U.S. 50 entered the city via the Bay Bridge, the pair took this ramp to meet U.S. 101 along a surface route. Today, the former main line is now a left exit that connects to U.S. 101 and Van Ness Avenue. Photo taken 08/23/03. The addition of exit numbers between 2004 and 2007 resulted in sign changes for U.S. 101 south (Exit 1A), U.S. 101 north to the Golden Gate Bridge in place of Mission Street (Exit 1B) and Ninth Street (Exit 1C). Photo taken 11/29/04. These reflectorized signs for impending end of I-80 at U.S. 101 were also replaced between 2004 and 2007. I-80 is one of a handful of Interstates that end at a U.S. Route. 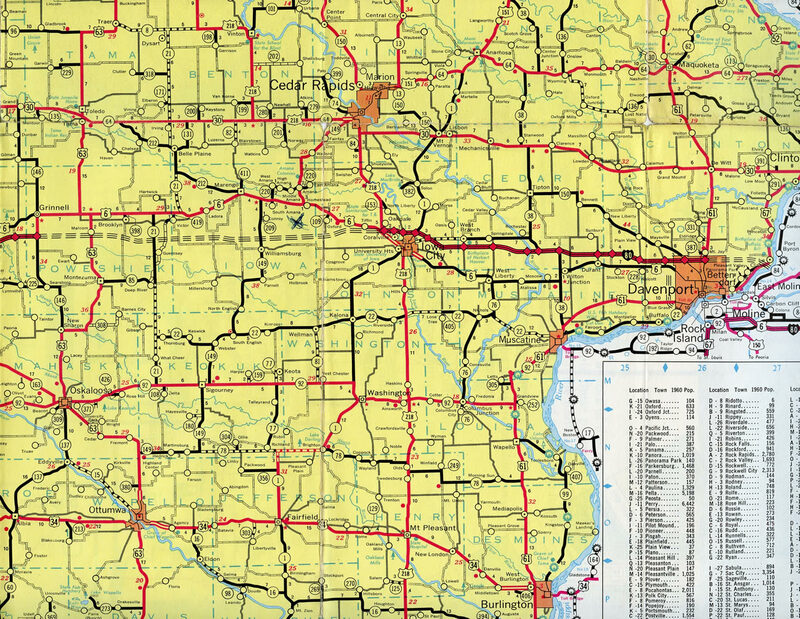 Others include I-55 at U.S. 41 in Chicago, I-72 at U.S. 61 in Hannibal, and I-96 at U.S. 31 in Muskegon. Photo taken 11/29/04. Porcelain enamel signs directed motorists onto U.S. 101 (Central Freeway) north toward the Golden Gate Bridge and U.S. 101 south toward San Jose. Photos taken by Kelly Kawamoto (11/07/93). Sign replacements made at the I-80 west end replaced Golden Gate Bridge with Mission Street for the Central Freeway spur. A portion of the Central Freeway was demolished by the late 1990s. It was replaced by Octavia Boulevard, an at-grade parkway, by 2005. Photos taken 11/29/04. U.S. 101 winds northward between the Bernal Heights and Bayview neighborhoods beyond the exchange with Interstate 280 to meet the western end of transcontinental Interstate 80 in 2.25 miles. Photo taken 03/27/16. A second interchange sequence sign with I-80 appears after the Cesar Chavez Street interchange, one mile south of the split from U.S. 101. U.S. 101 runs between the Inner Mission and Potrero Hill communities to the ensuing Vermont Street off-ramp (Exit 433A). Photo taken 03/27/16. Passing under 23rd Street along U.S. 101 north. U.S. 101 branches westward at forthcoming I-80 for the Central Freeway spur west to Van Ness Avenue. Seventh Street (Exit 1) is the first off-ramp of Interstate 80 east. Photo taken 03/27/16. A junction I-80 shield assembly, normally reserved for a side street, appears on the U.S. 101 freeway mainline. U.S. 101 exits itself to join the Central Freeway west to Van Ness Avenue for the continuation to the Golden Gate Bridge. The number two lane also comprises a left-hand exit for Ninth Street and the Civic Center. Photo taken 03/27/16. Beyond Interstate 80 and the Central Freeway, U.S. 101 follows Van Ness Avenue, a major route through the city, to Lombard Street and the Golden Gate Bridge. Busy Van Ness Avenue is six lanes wide, but nearly every major intersection is governed by a traffic signal. Trucks are not advised on the route. Photo taken 03/27/16. The skyline of the City by the Bay spreads across the horizon as Interstate 80 east begins via Exit 433B. The Central Freeway takes U.S. 101 west toward the Octavia Boulevard exit. This section of U.S. 101 was formerly planned as part of I-80 from when the freeway was proposed to extend west along the Fell Street/Oak Street corridor to Golden Gate Park and California 1. Photo taken 03/27/16. Note that in 2004, U.S. 101 was temporarily omitted on signs for the Central Freeway, with U.S. 101 through traffic directed instead onto the Seventh Street exit from I-80 east. This was done to reduce traffic flowing onto the Central Freeway stub. Photo taken 11/29/04. During the early and mid 2000s, U.S. 101 north was temporarily detoured onto Seventh Street from I-80 due to the Octavia Boulevard construction project. Upon completion of the project, U.S. 101 was restored on the Central Freeway alignment. Photo taken 11/29/04. Signs at the I-80 east and U.S. 101 northbound partition were also altered due to the Octavia Boulevard construction project. Photo taken 11/29/04. A loop ramp brings U.S. 101 south onto the Central Freeway from Van Ness Avenue. The elevated roadway proceeds east from there directly to Interstate 80. Overtaking the James Lick Freeway south, U.S. 101 forms an important corridor for the West Bay communities of San Bruno, San Mateo, Menlo Park and Palo Alto. Photo taken 07/06/07. A left-hand ramp takes motorists from U.S. 101 (Central Freeway) south onto Interstate 80 (James Lick Freeway) east. I-80 travels through South of Market and Yerba Buena to the San Francisco-Oakland Bay Bridge into Alameda County. The city of Oakland is an eight mile drive to the east across the Bay Bridge. Photo taken 07/06/07. Exit 1 quickly departs I-80 east for Seventh Street after the split with U.S. 101 (Central Freeway) north. The second and final exit on the San Francisco Peninsula follows in a half mile for Fourth Street and the Embarcadero. This was the former end of California 480, which in the mid-1960s was designated Interstate 480. SR 480 (Embarcadero Freeway) partially collapsed in the 1989 Loma Prieta Earthquake. It was demolished by 1993. The unconstructed connection with Interstate 280, which currently ends near AT&T Park, would have met I-80 near that same point. Photo taken 03/27/16. The first shield for Interstate 80 east stands between the travel lanes ahead of Exit 1. Photo taken 03/27/16. “After seven years Borman Expressway backups in rear view mirror.” Indiana Economic Digest, August 19, 2011. Images of America: The Bay Bridge by Paul C. Trimble and John C. Alioto, Jr., Arcadia Publishing, 2004. “Photofiles: Interstate 80 dedication in 1961.” Journal Star (Lincoln, NE), November 7, 2013. “I-80 Construction Project Almost Done.” WOWT (Omaha, NE), November 5, 2013. “New, wider stretch of I-80 opens.” Journal Star (Lincoln, NE), January 4, 2008. “East and west closer to meeting on widened I-80” Journal Star (Lincoln, NE), October 18, 2012. “State, city ready to begin work on diverging diamond at Northwest 48th Street” Journal Star (Lincoln, NE), January 27, 2014. “2 decades later, widening of turnpike finally finished – New lane open between Maumee, Perrysburg exits” The Blade (Toledo, OH) November 13, 2014. “Rebuilding of Interstate Is Set to Begin in 1987.” Omaha World-Herald (NE), September 8, 1985. “Decade of Work Money and Traffic Limit Speed of I-80 Rebuilding.” Omaha World-Herald (NE), April 5, 1989. “I-80 Upgrade Is Complete Billions of Pounds of Concrete, Decade of Work Improve Road The Rebuilding of Interstate 80 in Omaha.” Omaha World-Herald (NE), August 24, 1999. “Eisenhower Envisioned Highway Plan in 1919.” Omaha World-Herald (NE), June 29, 1986. Interstate 80 (New Jersey). NYCRoads.com. Page updated January 3, 2017.